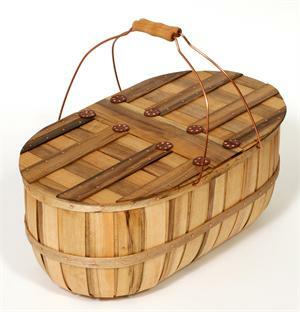 Traditional hamper style leather-hinged picnic basket "a real American classic" is made of Oregon Myrtlewood and solid copper. 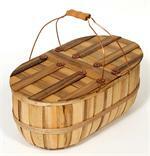 A basket for outings or a beautiful roomy storage accessory in the home. 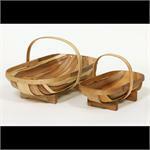 Double solid copper bale handles with turned wood grips.